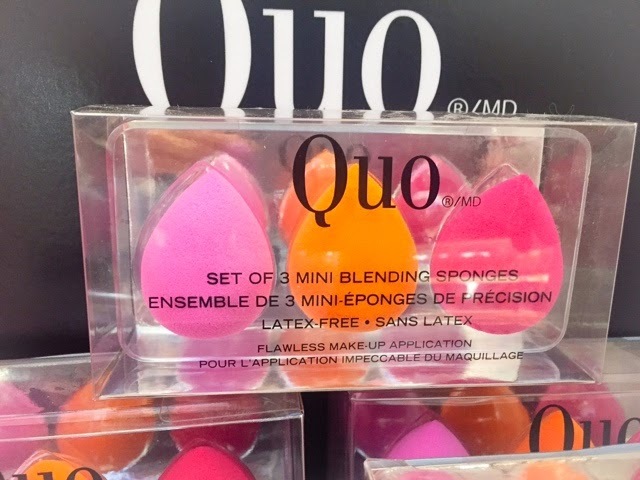 Thebeautyblog.ca Product of the day is back! Today's product is QUO'S set of 3 mini blending sponges, $10 available at Shoppers Drug Mart. 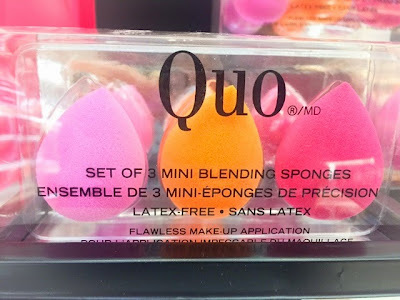 These little sponges are awesome, they are super soft and are big enough to apply a flawless foundation application. The shape is oval bottom with a pointed end that fits perfectly around the eye area for effortless concealer application. Wash your sponge before each use with antibacterial soap and rinse. Submerge your sponge in clean water, the sponge with expand to about double its size. Squeeze out the water with paper towel or towel, sponge should feel moist not wet. Apply your foundation or concealer with patting motion onto your skin and roll sponge to blend. Powder can be also applied with sponge, again with patting motion and rolling technique.